Our team at Gifted Support Center has the knowledge and know how to help parents and educators understand the unique learning profiles of their children and students. We provide a unique combination of psychological and educational expertise to determine and support asynchronous and diverse learners. Ann is Executive Director of Gifted Support Center, which she founded in 2011. She serves as President for the California Association for the Gifted, on the advisory board for the Belin-Blank International Center for Gifted Education and Talent Development, on the Editorial Board for the Gifted Education Communicator, on the Blue Ribbon Advisory Committee for the USC/US Department of Education Jacob Javits Grant, Project CHANGE, on a Public Policy Committee for the Institute for Educational Advancement, and as an advisor to The Untapped Potential Project (UPP). UPP’s mission is to advance public policy that optimizes educational outcomes for children with unique abilities. Ann has a special interest in advocating for appropriate academic, social, and emotional accommodations for gifted children, and she is passionate about enhancing learning outcomes for all children, especially children living in disadvantaged communities. 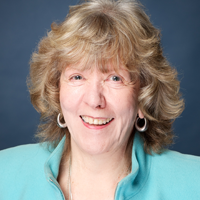 Prior to her work in the field of gifted education, Ann’s background includes over 25 years of extensive corporate management, business development and entrepreneurial experience. Nicole has over 25 years of experience in finance, international business development, and strategic leadership across many industries. She has worked with companies large and small, from Fortune 20 companies to startups in China and the US. Through her career, she has developed a collaborative style to fostering business partnerships and relationships. Nicole was identified gifted as a child and grew up experiencing many programs for gifted education in San Francisco public schools in addition to experiencing grade acceleration twice in elementary school, and early college entrance at 16 years of age. She holds a BA in physics from Reed College, Portland, Oregon and an MBA with a finance specialization and a strategy concentration from University of Chicago, Chicago, Illinois. Nicole is the parent of two gifted children, and she is passionate about finding education solutions for gifted kids which keep alive their excitement about ideas. Melanie earned her B.A. in psychology from the University of Washington after switching from a zoology major. 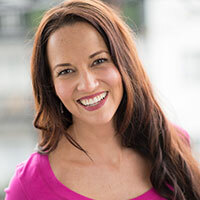 She earned her Ph.D. in Clinical Psychology from Palo Alto University where she received specialized training with Health Psychology and Child and Family emphases. She completed an APA accredited predoctoral internship at Andrus Children’s Center in White Plains, New York where she specialized in early childhood mental health. In 2010, she completed her an APA Accredited postdoctoral residency at the Kaiser Permanente ASD Center in San Jose where she conducted ASD assessments for children and adolescents. After residency, Dr. Hsu continued at the ASD Center where she also helped conduct research for three nationally-funded ASD research projects with the Kaiser Permanente Division of Research (DOR), becoming the clinical lead for two of the projects in addition to becoming the training director and assessment supervisor for the postdoctoral residents. 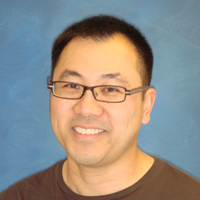 In 2013, Dr. Hsu joined Children’s Health Council (CHC) in Palo Alto, and conducts evaluations for children and adolescents. She specializes in ASD, 0-5 work, and is currently the Early Childhood Program Manager where she manages the First 5 program at CHC through Santa Clara County. 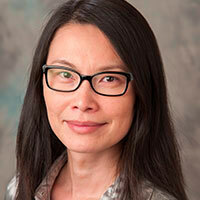 Dr. Hsu is also a staff psychologist at the Center for Social Dynamics (CSD) in Santa Clara, and provides ASD-specific assessments for children and adolescents. She continues to work with the Kaiser DOR as a consultant. 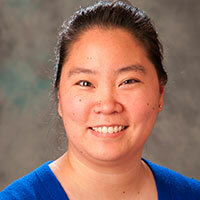 Dr. Elsie Mak earned her Ph.D. in Clinical Psychology from Palo Alto University, with a focus on neuropsychology. She completed her neuropsychology practicums at the VA Palo Alto Healthcare System and Laguna Honda Hospital and Rehabilitation Center in San Francisco, predoctoral neuropsychology internship at Cincinnati VA Medical Center, and postdoctoral neuropsychology residency at Kaiser Permanente San Francisco. She was also a contractor at the Stanford Math Project at the Department of Psychiatry at Stanford University, conducting neuropsychological evaluations of children. Following licensure, she worked at the Kaiser Permanente San Jose Autism Spectrum Disorder Center, conducting Autism evaluations on children and adolescents. She also worked as a supervising psychologist at Kaiser Permanente San Jose ASD Center. She has been working with children, adults, and/or families for 8 years. Currently, she works at Children’s Health Council in Palo Alto and the Center for Social Dynamics in Santa Clara, California. She also has a private practice at Saratoga, California. Dr. Mak has a M.S. degree in Computer Science and a B.A. degree in Computer Science and Mathematics. She was previously a software engineer before pursuing her passion for neuropsychology. Cyndi earned her B.A. in psychology from the University of California at Irvine. She earned her Ph.D. in Clinical Psychology from Palo Alto University, where she received specialized training in neuropsychological assessment. She completed her predoctoral internship at Santa Clara Valley Medical Center Department of Physical Medicine and Rehabilitation, where she received training in the assessment and treatment of adolescents and adults recovering from traumatic brain injuries and spinal cord injuries. She completed her postdoctoral residency at Kaiser Permanente Oakland Department of Psychiatry, Child and Family Services, where she received further training and experience in neuropsychological assessment and treatment of children and adolescents. After completing her residency in 2006, Dr. Medina joined the clinical staff at Children’s Health Council (CHC) in Palo Alto, where she provides evaluation services. In addition to her work at CHC and the Gifted Support Center, Dr. Medina also provides evaluation services for children and adolescents in her private practice office in San Mateo. Bradley is a San Francisco Bay Area native who earned his doctorate in psychology from the California School of Professional Psychology with a focus on the evaluation and treatment of children and adolescents. He conducted his predoctoral internship with Child and Adolescent Services at UCSF/San Francisco General Hospital. In 2004, he completed his postdoctoral residency at the Kaiser Permanente Department of Child Psychiatry in Santa Clara. Throughout Dr. Siu’s training and practice, he has performed countless assessments and evaluations to a wide range of children in both the clinical and research settings. Currently, he is on staff at the Kaiser Permanente Department of Child and Adolescent Psychiatry in South San Francisco. There, he delivers clinical evaluations, mental health treatment, as well as leads the ADHD Evaluation Clinic. He has a special interest in working with gifted children and their parents. For the Gifted Support Center, he provides WISC-V and WPPSI-IV testing. Patrice holds a Masters in Special Education along with Clear Multiple Subject and Special Education Credentials. She is a qualified ADHD and Executive Functioning Parent Coach and is currently working on becoming a Board Certified Educational Therapist. She recently obtained certification in twice exceptional learners. Over the last 20 years, she has worked in both public and private school settings as a teacher and tutor for students in 2nd – 11th grades. She is trained in the Lindamood-Bell LIPS Program and uses a variety of strategies including the Visualizing and Verbalizing Program to enhance reading comprehension. She is highly skilled in teaching writing strategies as well as Singapore Math, and at incorporating Executive Functioning strategies in all aspects of student learning. Her varied teaching experiences in a variety of schools along with the fact that her own 3 children are twice exceptional learners, gives her a unique perspective on educating gifted students with learning differences from the point of view of a parent, teacher, and a tutor. She believes in identifying and promoting a child’s strengths, therefore, instilling a more mindful approach and developing their self-awareness. Patrice’s passion is being a resolute proponent for all students and families, and she has vast knowledge of the IEP process. She believes that every student can learn when provided the appropriate accommodations in the classroom, as well as knowing and utilizing the strategies that are effective for their own individual learning preferences. 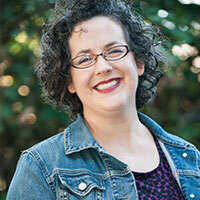 Gretchen is an early childhood educator, and curriculum consultant and developer. She has over a decade of experience as a preschool teacher and director, where she created and enhanced early childhood programs in Florida, Illinois, and California. Gretchen is a trained musician in Violin, Viola, Trumpet, French horn, and Electric Bass guitar and brings her musical expertise to the classroom aligning an integrated curriculum with VAPA standards. She holds a BA in Early Childhood Education with a concentration in Creative Arts from Concordia University Wisconsin, a teaching license for preschool – 3rd grade, and a MA in School Leadership K-12 from Concordia University Chicago. 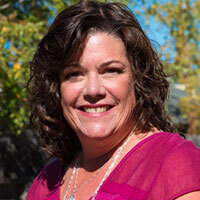 Gretchen serves as an education consultant for Gifted Support Center, and a curriculum writer, implementation manager, and teacher trainer for Leave Your Sleep for Education. 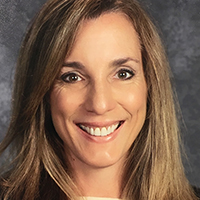 Lynne Henwood teaches gifted and talented learners in Washington Township, Morris County New Jersey and was named 2018 New Jersey Gifted Teacher of the Year by the New Jersey Association of Gifted Children (NJAGC). Lynne and her team developed and implemented a research based, multi-pronged elementary school identification process for the district, which has identified and enabled underserved gifted students to have their educational needs met. Advocating for twice-exceptional learners is Lynne’s passion and her work has made a difference for many children in the district, as well as helped educators and administrators better understand these students and how to meet their unique needs. Inspired by Dr. George Betts’ Autonomous Leaner Model, Lynne designed a unit entitled “Great Minds/Night of the Notables”, where 5th grade students utilize 21st Century skills such as choice, collaboration, creativity, critical thinking, rigor, growth mindset principles, and technology. The event was featured on the Verizon Fios Network program called This Is Jersey with Gary Gellman, and was also on local radio station, WRNJ 1050 AM. Lynne has completed the master’s level Certificate Program in Gifted Education at Rutgers University and is currently pursuing a master’s in Educational Psychology (Creativity, Giftedness, and Talent Development) at the University of Connecticut. 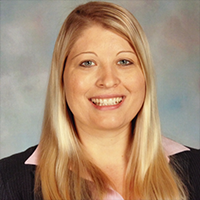 She presents at conferences, workshops, and as an expert panelist highlighting best practices in gifted education. Lynne currently serves as President of NJAGC and her advocacy efforts for gifted students make her a regular presence in both the Trenton Statehouse and the halls of Congress in Washington, D.C..
Natalie serves as a VAPA specialist and curriculum writer for Leave Your Sleep for Education. She is the Director of Performing Arts at Synapse School in Menlo Park. 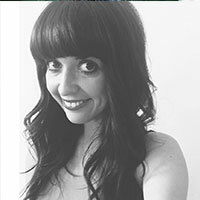 Natalie has a deep passion for guiding students through the world of music and performance. She uses an interactive approach that specializes in integrating performance curriculum with language arts, STEAM, and design thinking. Natalie has taught in public schools, choral organizations, and private schools for gifted children on the peninsula since 2001. Natalie received her BA in music from UC Santa Cruz and her masters in Vocal Performance from the San Francisco Conservatory of Music. She has also completed the three levels of Orff Schulwerk training at Mills College. When not teaching, you can find Natalie enjoying life in Half Moon Bay where she lives with her loving husband and two young children. Susan serves as a VAPA specialist, curriculum writer, and classroom liaison and implementation manager for Leave Your Sleep for Education. She is a mom, a musician, a mentor, and a dreamer. Her passion for people moved her to begin ‘Inner City Love’, an organization that supports the underserved children of Vancouver, Canada. She and her team work with teachers and administrators to meet the physical and emotional needs of the children. Susan performs in a jazz/blues trio, ‘Coastal Canvas’, and a children’s duo, ‘Ginger and Snap’. Susan also teaches voice and performance technique to students of all ages, and works as a teachers’ aide in the West Vancouver Public Schools. 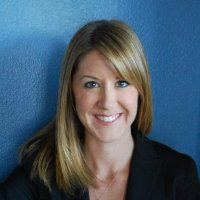 Brooke serves as a VAPA specialist and curriculum writer for Leave Your Sleep for Education. She is the founder of The Rabbit Hole Children’s Theater in San Francisco. Brooke has been performing her whole life and received her training studying Musical Theater at The American Musical Dramatic Academy in New York City. She has always been someone who lived inside her imagination and has been working with children her whole life. She worries that many kids are being pushed out of their artistic freedom. Her mission is to provide a safe place for little ones to explore their curiosity and be nurtured in the unique voice. Her teaching is centered around theatrical play and the joy of make believe. She believes it is important to worry less about perfection and to spend time falling in love with the creative process, and Brooke feels that theater is a wonderful outlet for imaginative play, self-expression, and the magic of wonder. 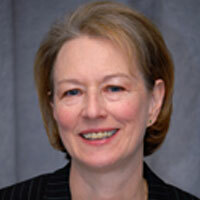 Professor Susan G. Assouline is the director of the UI Belin-Blank Center for Gifted Education and Talent Development. She holds the Myron and Jacqueline N. Blank Endowed Chair in Gifted Education. She is especially interested in twice-exceptionality, specifically gifted students who also have and autism spectrum disorder (ASD) or gifted students who have a specific learning disability (SLD). 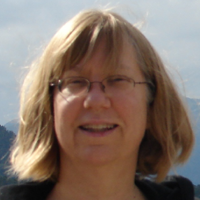 She also conducts research on the academic talent development of elementary students and is co-author (with Ann Lupkowski-Shoplik) of Developing Math Talent: a Guide for Educating Gifted and Advanced Learners in Math (2011). As well, she is the lead author of The Iowa Acceleration Scale (2009), a tool designed to guide educators and parents through decisions about grade-skipping students. In 2015, she co-edited, with Nicholas Colangelo, Joyce Van Tassel-Baska, and Ann Lupkowski-Shoplik, A Nation Empowered: How Evidence Trumps the Excuses Holding Back America’s Brightest Students. Regan is co-founder of Gifted Support Center and was involved in the initial launch of the organization. Regan co-developed the assessment structure and authored the initial qualitative assessments offered at GSC. During the pilot process, she worked first-hand with families administering assessments and providing feedback sessions and then transitioned to the role of Research Director for GSC. Regan earned her doctorate in Educational Psychology with a specialization in the Psychology and Education of the Gifted from the University of Virginia. 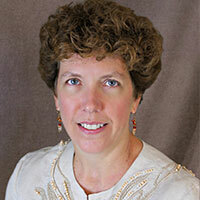 She has extensive research and evaluation experience in the field of gifted education and the psychology of the gifted. 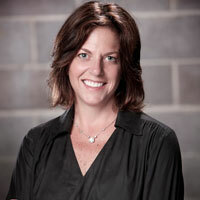 Regan currently serves as Director of Strategic Partnerships and Research Scientist at The Children’s Data Network. Anabel is the founding advisor to Gifted Support Center. She is Co-Founder of Synapse School, President and Co-Founder of Six Seconds, and Professor of Education at Notre Dame de Namur University in Belmont, CA. She earned her Ph.D. from the University of California, Berkeley, and she has been a visionary in gifted education since the beginning of her career designing programs for gifted minors, evaluating school programs, and guiding teachers in selecting methods and materials for prescriptive teaching. She served as Executive Director at the Nueva School for 14 years during which time she led the school to achieve recognition as a Federal Blue Ribbon school, twice-honored for excellence in education. Dr. Jensen is a master teacher and a pioneer in emotional intelligence education. She helped develop Self-Science, a proven approach to Social-Emotional Learning (SEL) that is featured in Daniel Goleman’s bestselling book, Emotional Intelligence. Dr. Sandra Kaplan is Professor of Clinical Education at the University of Southern California. She has been Principal Investigator on four projects funded by the Jacob K. Javits Gifted and Talented Student Education Act, with the Department of Education. Each of these projects focused on Gifted/Talented economic, linguistic, and culturally diverse students in Title 1 K-8 California schools. Dr. Kaplan has been an international and national consultant for districts, State Departments, and other educational agencies to provide professional development in the areas of differentiated curriculum and instruction. She has written over 40 articles and 10 books related to identifying and providing appropriate educational services to gifted students. Currently, Dr. Kaplan is an active member and past president of the California Association for the Gifted and chair of both the Blue Ribbon Committee and Education Committee for the organization to research a non-traditional identification instrument to recognize the underrepresented students as gifted. 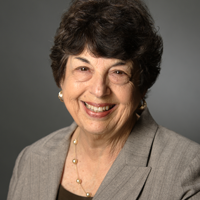 Dr. Kaplan has received recognition for her work, including awards for Excellence from the Council of Exceptional Children, National Association for the Gifted for Service and Achievement as well as research awards from the California Association for the Gifted. Vivien earned her B.S. in Cognitive Neuroscience from Brown University, and Ph.D. in Clinical Psychology from the University of California, San Diego. She has since completed specialty training in pediatric neuropsychology. She completed her predoctoral internship at Children’s Hospital, Orange County where she focused on the assessment and treatment of children and adolescents with comorbid medical and psychiatric conditions. 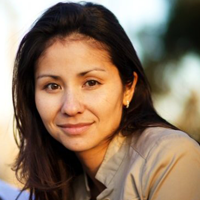 Vivien then completed her postdoctoral fellowship at the UCLA Semel Institute for Neuroscience and Human Behavior, where she worked primarily with children with fetal alcohol spectrum disorders. Following licensure, she worked at the Neurobehavioral Clinic and Counseling Center in Orange County, conducting neuropsychological assessments on children and adolescents. She also worked as the supervising psychologist in the Department of Outpatient Psychiatry at Rady Children’s Hospital, San Diego before relocating to the Bay Area in 2011. 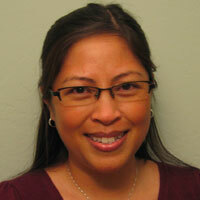 Since her relocation, Vivien has been a staff neuropsychologist at the Children’s Health Council in Palo Alto. Ann Lupkowski-Shoplik, Ph.D. is the Administrator for the Acceleration Institute and Research at the Belin-Blank Center for Gifted Education and an adjunct professor in the Department of Psychological and Quantitative Foundations, both at the University of Iowa. She founded and directed the Carnegie Mellon Institute for Talented Elementary Students (C-MITES) at Carnegie Mellon University for 22 years, which provided weekend and summer programs for gifted students, an academic talent search for 3rd-6th graders, and professional development for teachers. Together with Dr. Susan Assouline, she wrote Developing Math Talent: A Comprehensive Guide to Math Education for Gifted Students in Elementary and Middle School (2nd ed.). She is also a co-author of the Iowa Acceleration Scale with Susan Assouline, Nicholas Colangelo, Jonathan Lipscomb, and Leslie Forstadt; and co-editor of the 2015 report on academic acceleration, A Nation Empowered: Evidence Trumps the Excuses Holding Back America’s Brightest Students, with Susan Assouline, Nicholas Colangelo, and Joyce VanTassel-Baska. Allen brings more than 35 years of government and business experience to Gifted Support Center Inc. Allen retired in 2013 from his position as Vice President and General Counsel for Chevron Energy Solutions in San Francisco. During his career with Chevron, he held positions as Chevron Corporation’s Chief Patent Counsel and Chief Intellectual Property Counsel. Allen received his B.A. in chemistry from Trinity University and his J.D. from St. Mary’s University Law School in San Antonio, Texas. He began his legal career as a patent attorney for the U.S. Atomic Energy Commission, which became the U.S. Department of Energy, in Oak Ridge, Tennessee and attended classes part time to earn his M.S. in Engineering Science and Mechanics from the University of Tennessee, Knoxville. 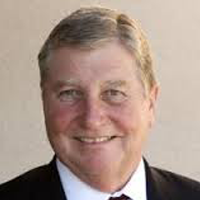 Allen is also father and grandfather to gifted individuals and is a member of California Association for the Gifted.